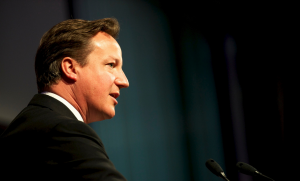 Generally speaking, people are divided on David Cameron’s speech-delivered welfare proposals. Those policy ideas targeting young people such as the mentioned ending of housing benefit for under 25s were viewed negatively, whilst those targeting the wealthy, unemployed or with lots of children were viewed much more positively (though people were on balance opposed to forcing parents back to work when their children were as young as 3). Capping child benefit at 2-3 children was viewed very positively, with 75% of people considering that it was selfish to have large families if people were on benefits. More people agreed than disagreed that these ideas represented a return to the ‘nasty party (47% to 34%), although on balance people said they “generally approved” of David Cameron’s proposals – 45% (vs 43% not generally approving). More worrying from the Prime Minister is that leader of the opposition, Ed Miliband’s enjoys a perceived policy lead on a number of other key issues, including a significant lead on policy towards the Banking Industry, Economic policy and Tax. Shadow chancellor Ed Balls also leads George Osborne on economic trust (27% to 27%) although within the margin of error, and almost half unable to choose unable to choose between them. On LIBOR rate fixing potentially having a direct consequence on personal and corporate lending levels, a clear majority -71% (vs 16% against) thought Bob Diamond should resign, that the Directors responsible should face prosecution (89% vs 5% disagreeing) and 49% saying they would “consider” closing their accounts (vs 40% that would not).